Commencement speakers (left to right) Row 1: Jim Edgar, Barbara Safriet, Jackie Joyner-Kersee, Barrington Irving, Joy Reid, Row 2: Sandee Kastrul, Lisa Schrader, Bechara Choucair, Ron Weinert, Cary Kochman, Row 3: William Knight, Christopher Burke, Theaster Gates, Ertharin Cousin and Shing-Tung Yau. More than 7,500 students will be honored at commencement and convocation ceremonies for 14 colleges today through Sunday. Olympian Jackie Joyner-Kersee, U.N. World Food Programme leader Ertharin Cousin, former Illinois Gov. 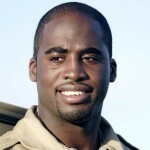 Jim Edgar, journalist Joy Reid and pilot Barrington Irving are among the featured speakers. 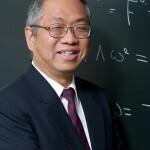 Cousin and Harvard mathematician Shing-Tung Yau will receive honorary degrees. Former Illinois Gov. Jim Edgar is the convocation speaker. Edgar, a distinguished fellow with the university’s Institute of Government and Public Affairs, made fiscal discipline and children’s issues the cornerstones of his two terms as governor. First elected in 1990, Edgar won re-election in 1994 by the largest margin ever for a governor. Four years later, he left office with the highest approval rating in state history. 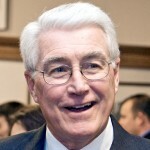 During his tenure, Edgar eliminated the backlog in the state’s bill payments, gave the state a surplus and reduced the size of state government. He won passage of historic legislation on the way Illinois schools are funded and overhauled the state’s child welfare system. 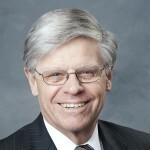 Edgar has served in a variety of leadership roles, including president of the Council of State Governments, member of the executive committee of the National Governors’ Association and chairman of the Midwest Governors’ Association. Barbara Safriet, former associate dean for academic affairs and lecturer at Yale Law School from 1988 to 2007, is the commencement speaker. She is visiting professor of health law at Lewis & Clark Law School in Portland, Oregon. She was a member of The Pew Health Professions Commission and health law consultant for the Rockefeller Foundation, W.K. Kellogg Foundation, Commonwealth Fund, Association of Academic Health Centers, U.S. Agency for Health Care Policy and Research, U.S. Department of Defense, National Council of State Legislatures, American Hospital Association and American Nurses Association. 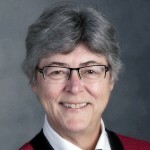 She has written and lectured on administrative and constitutional law, health care professionals’ licensure and regulation, and health care workforce issues. Jackie Joyner-Kersee, named “Greatest Female Athlete of the 20th Century” by Sports Illustrated, will give the commencement speech. Joyner-Kersee won six Olympic medals and four World Champion titles in the heptathlon and long jump events in four consecutive Olympics. She holds the world heptathlon record and Olympic and national records in the long jump. She is a philanthropist and advocate for children’s education, health issues, racial equality, social reform and women’s rights. 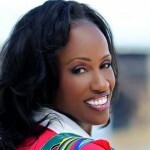 Joyner-Kersee is the author of A Kind of Grace and A Woman’s Place Is Everywhere. Barrington Irving, who at age 23 became the youngest person and first black pilot to fly solo around the world, is the commencement speaker. Irving made the 97-day, 30,000-mile journey in a single-engine plane in 2007. He founded the nonprofit Experience Aviation and Experience Aviation Learning Center, which offers STEM-based programs for middle and high school students in the Miami area. Barrington, who received the Florida Senate Medallion of Excellence, is a National Geographic Emerging Explorer. He is planning his next trip around the world, the Classroom in the Sky, for October. During his journey, he will conduct air and land expeditions to engage students all over the globe. 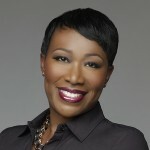 Joy Reid, host of MSNBC’s “The Reid Report,” is commencement speaker. Reid is managing editor of theGrio.com, an online news and opinion website aimed at African American audiences. She was a freelance columnist for the Miami Herald and editor of the political blog The Reid Report. She was online news editor for an NBC-affiliated TV station in South Florida and a host for Radio One. During the 2004 presidential campaign, Reid was Florida deputy communications director for the 527 “America Coming Together” initiative. She was a press aide to Barack Obama’s 2008 campaign in Florida. She is producing “The Fight Years,” a documentary about boxing in Miami during the 1950s and 1960s. Sandee Kastrul, president and co-founder of i.c.stars, a Chicago nonprofit, will speak at commencement. Kastrul founded i.c.stars in 1999 to provide Chicago inner-city youth with training in technology, leadership and business skills, preparing them for careers in information technology and community leadership. She has worked in education for more than 20 years as a teacher and consultant, from early childhood to adult professional development. 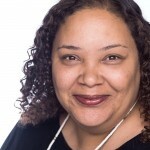 She received the National Forum Black Public Administrators Community Service Award in 2012 and two award from the Black Data Processors Association. 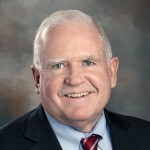 William Coats, a 1971 alumnus whose career in mental health care included 20 years as associate director of the DuPage County Health Department, will receive the college’s Pioneer Award. 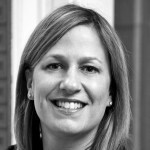 Lisa Schrader, chief of staff to Chicago Mayor Rahm Emanuel, is commencement speaker. Schrader is responsible for managing the day-to-day activities of city government, as well as long-term strategic planning for Emanuel’s agenda. She has worked for the city since 2001, in roles that include deputy chief financial officer, deputy budget director and public information officer for the city’s financial team. She was deputy chief of staff for Mayor Richard M. Daley. Schrader worked for the Democratic National Committee’s Texas research and communications team in the 2000 presidential election and the Better World Campaign in Washington, D.C.
Bechara Choucair, commissioner of the Chicago Department of Public Health, will speak at commencement. Since his appointment in 2009, Choucair has implemented “Healthy Chicago,” the first citywide comprehensive public health agenda. Under Choucair’s leadership, the public health department became the first big-city public health agency to receive national accreditation. He was medical director of Crusader Community Health in Rockford and executive director of Heartland International Health Center. 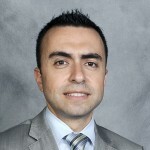 He is adjunct associate professor of family and community medicine at Northwestern University. 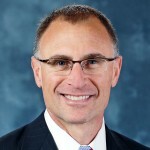 Ron Weinert, vice president for accountable care services at Walgreens, will give the commencement address. Weinert, a 1983 UIC alumnus, joined Walgreens as a pharmacist in 1987. He advanced from manager to supervisor for the Des Moines district, moving to corporate headquarters in 1997. He held administrative positions in patient services and government relations before becoming chief of staff to the president of Walgreens Health Services. He was vice president of health systems services before moving into his current position. 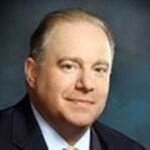 Cary Kochman, head of the North American Mergers and Acquisitions Group at Citigroup, will speak at commencement. Kochman, co-head of the Chicago Citi office, has 24 years of investment banking experience and has completed more than $200 billion worth of transactions. He led the mergers and acquisitions departments at UBS Investment Bank and Credit Suisse. A 1986 UIC graduate in accounting, he received his J.D. and MBA at the University of Chicago. William Knight, interim dean of the College of Dentistry, is the commencement speaker. A member of the faculty since 2001, Knight was executive associate dean and assistant dean for clinical education. As interim dean, he is overseeing the renovation and construction of college facilities, refinements to the master’s program in oral science and implementation of the fourth year of the college’s Doctor of Dental Medicine curriculum. Christopher Burke, professor of civil and materials engineering, will be the commencement speaker. Burke founded Christopher B. Burke Engineering in 1986. The Burke Group, which includes affiliated companies, has more than 400 staff members with nine offices in Indiana and Illinois. Burke teaches courses related to water resources and design. He has funded UIC student scholarships, faculty teaching awards and a presentation competition for doctoral students. In 2006, he and his wife funded the rehabilitation of UIC’s Water Resources Lab. Honors he received from Purdue University, his alma mater, include an honorary doctorate, President’s Lifetime Achievement Award, Distinguished Engineering Alumni and Outstanding Civil Engineering Alumni Achievement Award. 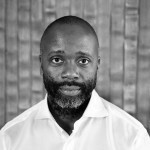 Theaster Gates, artist and founder of the nonprofit Rebuild Foundation, is the commencement speaker. Rebuild Foundation projects on Chicago’s South Side include the arts incubator Dorchester Projects, Black Cinema House and the Stony Island Arts Bank and Dorchester Artists Housing Collaborative. He opened the Arts Incubator in Washington Park in 2013, which he developed as director of arts and public life at the University of Chicago. The renovated building is home to artist residencies, a design apprenticeship program, exhibitions, performances and talks. Gates has exhibited and performed at the Studio Museum in New York City’s Harlem, Whitechapel Gallery in London, Punta della Dogana in Venice and the Chicago Museum of Contemporary Art. Ertharin Cousin, executive director of the United Nations World Food Programme and a 1979 UIC graduate, and Shing-Tung Yau, professor of mathematics at Harvard University, will receive Doctor of Humane Letters honorary degrees at commencement. Cousin will also be the commencement speaker. Appointed to her position in 2012, she oversees a $4 billion budget and staff of 15,000 employees who serve 100 million people across he globe. Cousin was U.S. Ambassador to the United Nations Agencies for Food and Agriculture and head of the U.S. Mission to the U.S. Agencies in Rome. She was White House liaison to the State Department during the Clinton Administration. She was executive vice president and chief operating officer for Feeding America, leading the organization’s efforts to help victims of Hurricane Katrina. Yau, the William Caspar Graustein professor of mathematics at Harvard, is a dominant force in the field of differential geometry and its application to general relativity and string theory. Winner of the Fields Medal, the pinnacle of achievement in mathematics, he is at the forefront of interdisciplinary research as one of the world’s leading mathematical theorists. He is also an education entrepreneur working to change traditional education in mathematics, helping to establish centers and institutes in China.